The Minnesota Twins announced a new option for fans traveling to games at Target Field. Through an integration with ParkWhiz, Twins fans can now find, book and pay for parking spaces in advance before reaching the stadium. Known as the fastest and most convenient way for drivers to find and book parking before reaching their destination, ParkWhiz can save drivers up to 50 percent off standard rates. It's simple to use: just visit Target Field's website, select the date and time, book and pay. "We are excited to partner with ParkWhiz to offer Twins fans another transportation option to enhance their driveway to driveway experience when visiting Target Field. Giving fans the access to purchase parking prior to leaving their home or office will now make it even more convenient and enjoyable to attend Twins games," Mike Clough, Twins Senior Vice President, Ticket Sales & Service, said. "Parking shouldn't be a painful experience, especially when your destination is the ballpark," Dan Roarty, president and chief operating officer of ParkWhiz, said. "ParkWhiz can help save time, effort and money, so that you can spend it enjoying the game." A leader in parking, ParkWhiz has been helping fans get to venues and park in cities nationwide since 2007. ParkWhiz is the leading transactional platform that enables drivers, fleets and connected vehicles to find and book parking. The company offers the largest inventory of parking spaces for drivers to reserve before reaching their destinations, saving both time and money. Working with all major parking operators, it delivers transactional parking as a value-added service to major brands in sports and entertainment, travel, automotive and navigation. ParkWhiz has built partnerships with brands including Ford, Ticketmaster, Groupon, Madison Square Garden and others. The company operates two consumer-facing brands of its own—ParkWhiz and BestParking—available for Apple, Android and Amazon Alexa. ParkWhiz has parked over seven million vehicles and is operational in over 190 cities in North America and expanding rapidly. For more information, visit ParkWhiz.com. 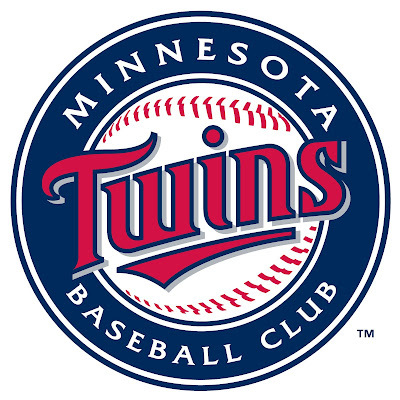 The Minnesota Twins are a Major League Baseball team in the Central Division of the American League. The baseball club has been a staple of the Minnesota sports and philanthropy scene since moving to the state in 1961. In addition to two World Series titles (1987 and 1991), the Twins have won several A.L. Central Division titles (2002, 2003, 2004, 2006, 2009 and 2010) and one A.L. Championship title (1965). In addition, the Minnesota Twins Community Fund supports the growth of youth baseball and softball across Twins Territory. For additional information on the Minnesota Twins, please visit: twinsbaseball.com.